The primary opportunities to be involved in Sport are the Swimming, Cross Country and Athletics Carnivals. Year 7 don’t compete in regular Thursday sport (but do receive more periods of PDHPE in its place). They have a Gala Day which is held during term 1. 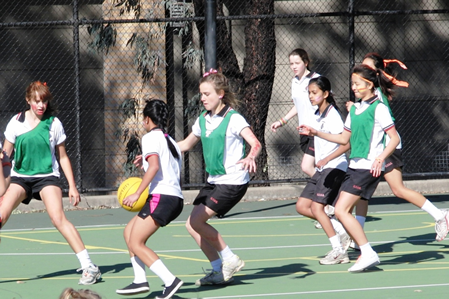 The Sports Executive (Year 12 students) regularly organize sporting competitions for Year 7 and 8 students during lunchtime. Year 7 students are eligible to compete in CHS knockout teams (but must be at an elite level to qualify).